Georgia’s national carrier Georgian Airways (also known as Airzena) has begun operating two Embraer E190 regional jets, as reported by the airframes’ Danish owner Nordic Aviation Capital (NAC) and previously predicted by Russian Aviation Insider. The aircraft feature a two-class cabin configuration with 9 seats in business and 88 in coach. The airline is new to the type. 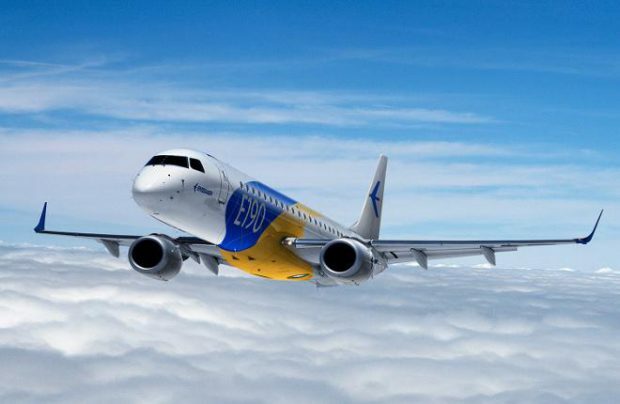 Delivery plans for the first of the two aircraft, serial number MSN 19000064, were first announced in late July. The announcement for the second one, MSN 19000083, came on August 2. According to Flightradar24, both aircraft have already started flying commercially for the new operator. Georgian Airways had signed a lease contract with NAC earier this year; no details of the deal are being disclosed. The two E190s, now registered as 4L-TGU and 4L-TGV, were built a little over 10 years ago. Both were previously operates by Air Canada and Delta Air Lines. These are the first Embraer types in the Georgian Airways fleet. Another latest addition to the airline’s fleet, a Boeing 737-700, arrived in May this year. The aircraft, 4L-TGO, previously flew for Canada’s WestJet Airlines and Armenia’s homonymous airline, which has since folded. The Georgian Airways website says the carrier’s current fleet comprises three 132-seat Boeing 737-700s, two 97-seat Embraer E190s, and a single 50-seat Bombardier CRJ200LR.